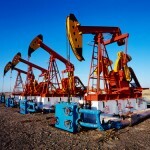 A new shale gas development deal has been signed between an American firm and a Chinese petroleum firm. Texas-based Weir Group PLC and China's Shengli Oilfield Highland Petroleum Equipment Company Ltd. announced the formation of a joint venture to provide high-pressure well service pumps and related flow control equipment to the developing shale gas industry in China. The JV is expected to commence operations in the first half of 2011, subject to regulatory approvals. It will be owned 60% by Weir and 40% by Highland and will be based in Dongying, Shandong. Weir anticipates investing USD6.2m in the JV during its first two years of operation.